We are a warm and friendly congregation, and we are very happy to have you here! 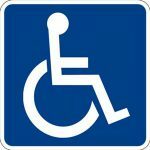 Parking and handicap spaces are available in our own attached parking lot. Usually about an hour – a little longer with Communion. We are pleased to have you no matter how you dress. However, if you are interested in the norms for our church, most people dress business-casual, and some are in their Sunday Best. Babies and children are welcome here! Some families with small children prefer to sit in our balcony area so that they can come and go without disturbing the congregation. However, some of the little ones delight us by sitting right with everyone else. Children (Kindergarten to 5th grade) participate in the first half of the service with the congregation. Then they are called up to the front for a short Children’s Sermon. After that, they may go to a Sunday school room for a snack and activities. If you prefer not to have your very small children in church, we provide nursery care during the service. Please ask an usher for assistance. Music is played throughout the service by our very own piano virtuoso, John Spradling. (He also plays the organ.) Our Music Director, Mary Schwarz, leads the congregation in a set of songs early in the service, and hymns are sung during other portions of the service. Please click here to see the portion of our website that contains recent sermons. We are looking forward to your visit. If you want to know more about our church right now, please return to the home page to look over the information on our website or use the contact information shown below. 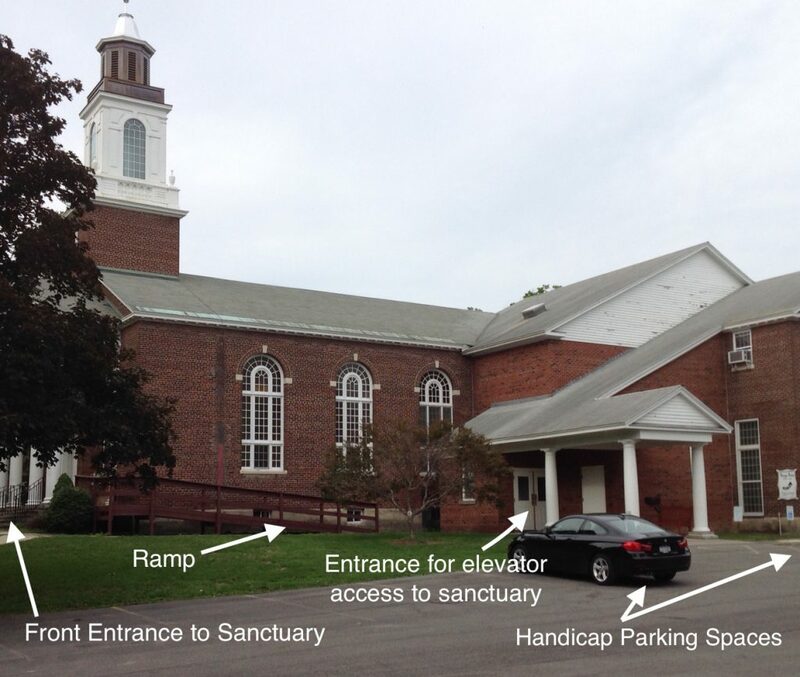 We have an accessible pew on the right side of the sanctuary. You may leave a wheelchair or walker in this area, or an usher will store it for you during the service and retrieve it at the end. 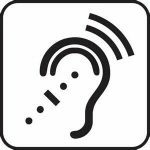 Assisted hearing devices are available. Please ask an usher for assistance.